Our massage rooms are designed to create a cozy and tranquil atmosphere so that you can experience the ultimate relaxation from our massages. As an increasing number of people realize or require the multiple benefits of exercise or physical rehabilitation, the need for people getting into sports medicine and fitness-related careers will continue to grow. Those who work in these fields are usually both eager and passionate in helping clients of all ages and athletic abilities to reach or recover their physical potential. It’s not unusual for them to be competitive athletes or have an athletic background themselves, which often results in feeling the need to maintain close proximity to the sports world or to avoid sitting down all day at a 9 to 5 office job. 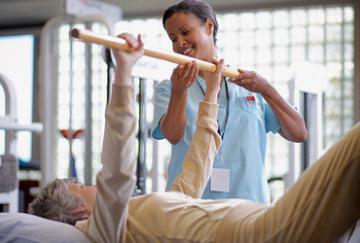 Fitness and sports medicine professionals often work together, whether directly or indirectly. For example, let’s take a recreational soccer player recovering from knee surgery. After he or she finishes up physical therapy at a sports rehab clinic, the PT refers them to a personal trainer that specializes in human performance. The trainer then provides feedback to the PT on the clients progress, which the client and PT discuss during follow up visits.